Well, people said it right. Time flies by so quickly. 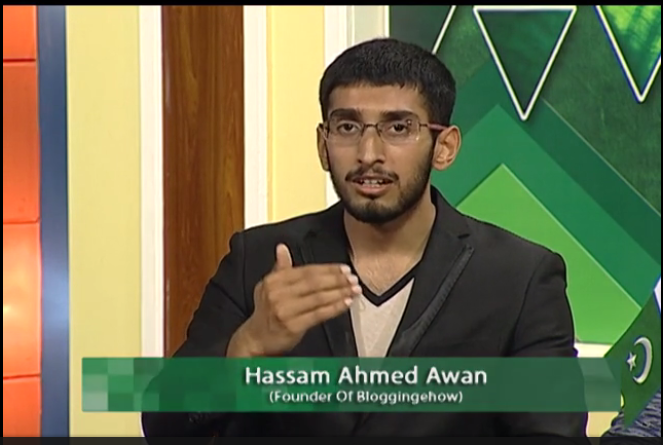 On 30th April, kay2 TV aired an amazing show regarding 'Blogging in Pakistan' and I had a pleasure to be part of it as a speaker/panelist. I still remember staying up all night 4 years back where I kept murmuring with my self as if I was giving a interview on national television. My dream to reach as many people as I can to share my story had finally full filled Alhumdulilah and I pray to Almighty to give me strength to motivate and reach out to as many brothers and sisters as I can and promote scope of blogging in Pakistan and Internationally too. Blogging is still quite an unknown phenomena in Pakistan and many third world countries where it needs to be promoted the most due to lack of jobs. Our youth needs to find out how powerful and rewarding blogging is and how it could not only be a great source of income, But a medium to reach out and help tons of human beings too. My primary motivation to blog had been to help my fellow country men and people around the globe in any way possible. I realized it quite early that money comes running after you, once you devote your self to the well being of the people around you. This is what I tried to portray in the TV Show and this is what I preach here at BloggingeHow. I dedicate this post to my entire experience of my first TV appearance and how it went altogether. Later, I have shared full video recording of the show for the people who missed out the show on TV. We reached at the sets of 'Soch Factory' show by 12:30pm (this is much before the show got live as it was a recorded show). After parking our car and entering the main gates, a humble guy guided us towards the sets where we met Bilal brother, who's a senior manager at Kay2 TV and he's the one who was in coordination with us and other fellow panalists. There on, we met and had a good time with our other fellow panelists and folks in audience. Below is a back stage footage of me getting some shots of the sets of 'Soch Factory'. Hope you like to show. There were couple of questions that could have been answered even better and in detail, though due to the lack of time, it was difficult to incorporate every idea in a single answer. If you're new to blogging and have questions yet to be answered, you can always leave them in the comment section below or send me an email at hassam@bloggingehow.com and I would love to get back to you on them. Finally I would like to thank Team behind Kay2 TV for conducting such a valuable show that I believe would help out many young minds out there. Such shows need to be conducted on frequent basis on other main stream channels so that we could together fill out the gap that we currently have in Industry in regards to lack of jobs and opportunities. The more of our youth would have entrepreneurial minds and the more youngsters that would start blogging in specific, the more foreign exchange we could draw in towards our country. As I mentioned before, if you have any questions in your mind, don't forget to leave them in the comments section below. You may also like to read: How to start a blog?